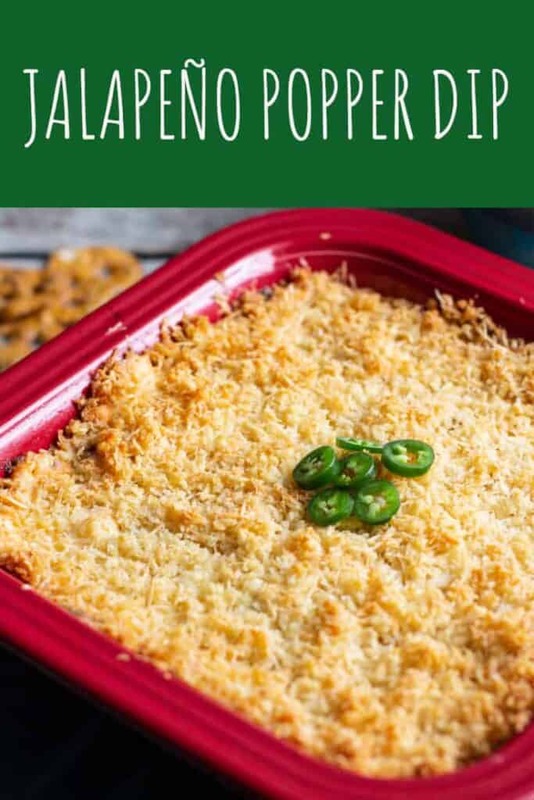 This Jalapeño Popper Dip tastes just like your favorite bar food in dip form! It’s creamy and full of flavor, and has just the right amount of heat. 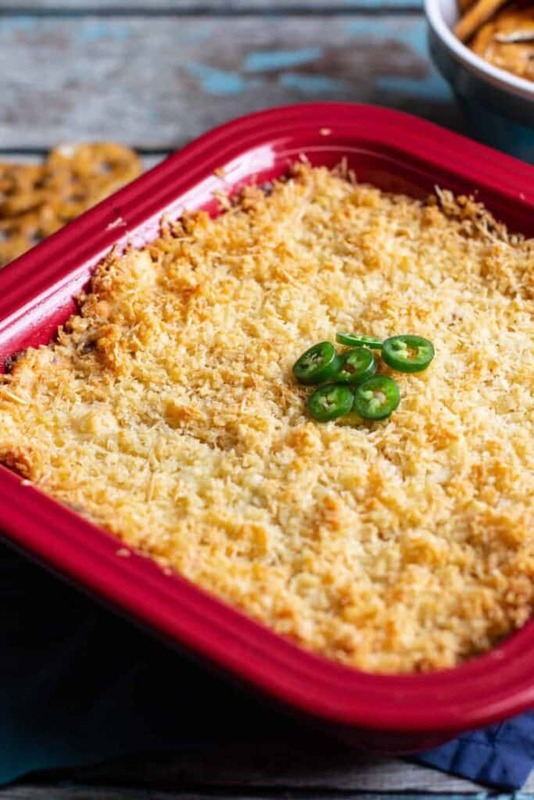 You might think that 6 jalapeños might make this dip too spicy. Fear not. 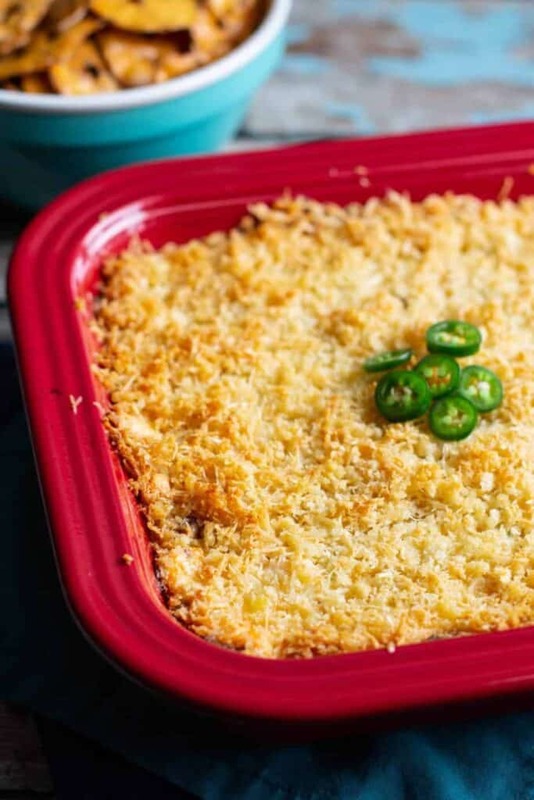 Instead, this dip is very flavorful and has just the right amount of pleasant heat. 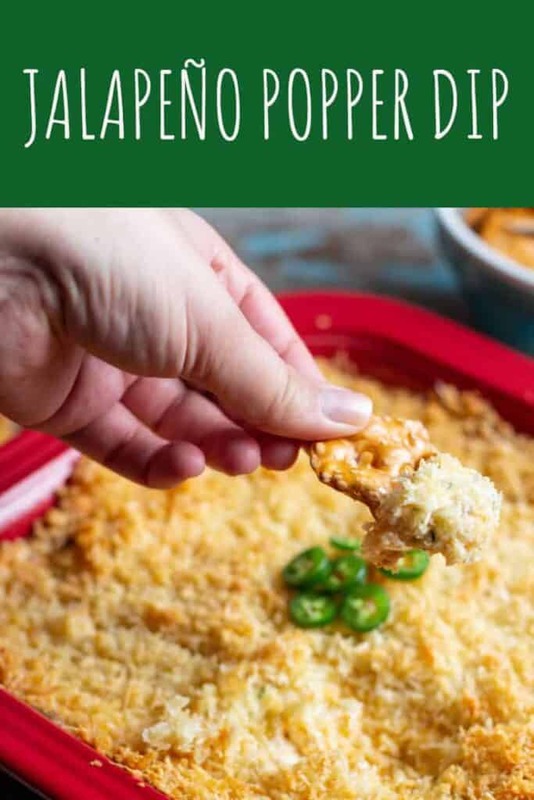 In addition to the jalapeños, cream cheese and shredded cheddar make this dip melty and creamy, while bacon puts things over the top. This recipe originally appeared on the blog Brown Eyed Baker. Combine the cream cheese, mayo, chopped bacon, jalapeños, garlic, cumin, and cheddar cheese in a mixing bowl. 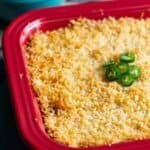 Pour the mixture into a 9x9-inch, oven-safe casserole dish. Combine the Panko breadcrumbs, Parmesan cheese, and melted butter in a small bowl, stirring with a fork until the mixture is evenly moistened. Sprinkle on top of the dip in an even layer. Bake in the preheated oven for 30 minutes, or until the top is golden brown and the dip is bubbly. Let it rest for 5 minutes before serving. Serve with tortilla chips, crackers, veggies, etc. 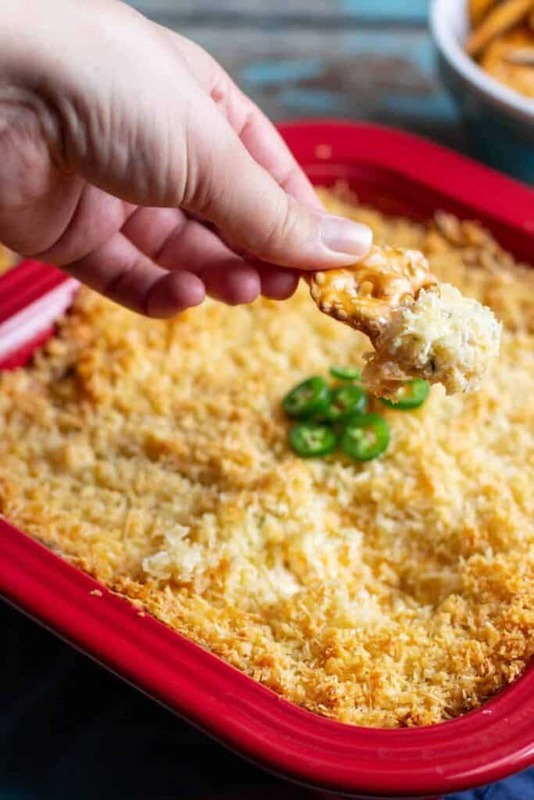 This Buffalo Chicken Dip is another spicy delicious dip option! Great dish! Perfect for football season. Thanks.